Your home’s exterior is just as important as the interior and when it comes down to it, others judge your home based on what they see first – the exterior. Decorating your garden can help elevate the space and provide unique touches to it. Below, we will go over some tips for you to keep in mind as you do decorate your garden. The entry way to your garden should be large and grand. You can dress it up with a nice metal gate and surround the gate with hanging vines and flowers. The prettier the area is, the more welcoming it is as well. Keeping your garden full of luscious greens and beautiful flowers is another way to create a nice space. You should never be afraid to plant small trees, flowers, or even place flower pots along the walkway. Your garden should have comfortable seating options that do not detract from your garden, but add to it. Try to find a common theme and then carry it over into your furniture. For instance, you may like bamboo or wicker furniture for your garden, but make sure it blends well and does not clash with your choice of decorations. A beautiful water fountain in the middle of your garden can help elevate the space and provide a relaxing place for you to sit down and think. Your fountain will be the focal point of your garden. When it comes time to decorate, consider using outdoor ornaments such as hanging lanterns in trees and similar. Not only will you create a nice, picturesque space, you will also be able to use the soft lighting in your garden. If you are looking to dress up the exterior of your home, the professionals at J. 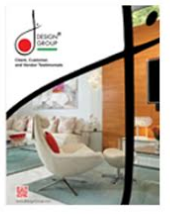 Design Group are here to help. We have years of experience helping clients add the right elements to their home. Looking for more outdoor design ideas? Check out this article!